A stunning late autumn sunset on a wrap around cyc. A fabulous sparkling mylar curtain. A breathtaking show drop to greet the audience. 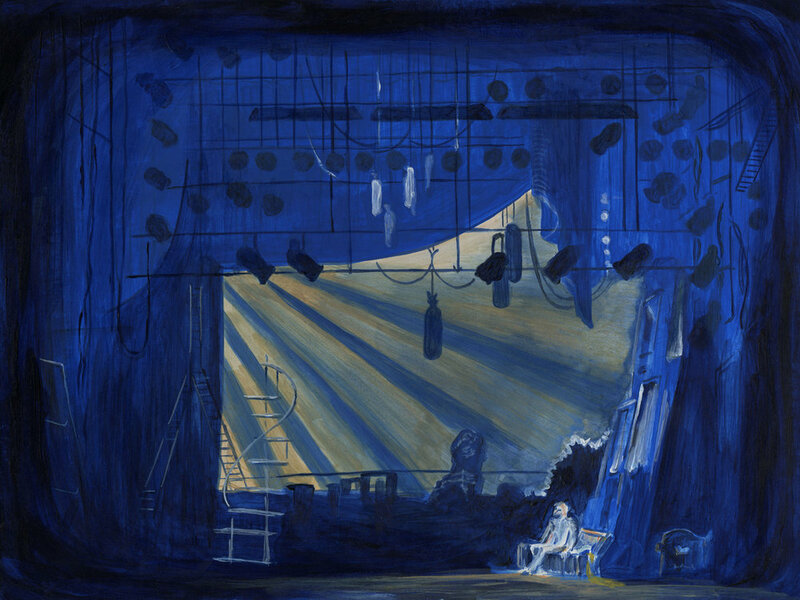 Scenic Designers can provide incredible environments in which to tell our stories, but unless they are lit properly, even the best scenery can become flat and mundane. Join Wingspace Theatrical Design and XO Projects as we leave the lighting of people to the textbooks, and spend an entire evening discussing how to light scenery. Cycs, drops, borders, portals, curtains, mylars, floors, ceilings, mirrors…we’ll chat about all the do’s and don’ts of how to light these elements as well as scenic solutions for the best kinds of scrims, translucencies, lightboxes, printed drops, texture ideas and more to help make sure your scenery is as beautiful on stage as it is in your rendering. Join a first class panel of Lighting and Scenic Designers including Don Holder (The Lion King), Donyale Werle (Peter & the Starcatcher), Jason Lyons (Rock of Ages), Tobin Ost (Newsies), Jen Schriever (Eclipsed) and Tyler Micoleau (The Band’s Visit) for this one-of-a-kind roundtable.